A pleasurable, romantic evening is awaiting those who enjoy their Valentine’s Day (February 14 and 15) at Bites Asian Tapas this Friday and Saturday (3313 N. Clark St., Chicago; (773) 270-5972; bitestapas.com). 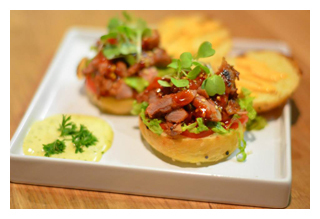 Bites is a casual, stylish and comfortable Asian bistro in Lakeview featuring a wide range of homemade small plate favorites from Thailand, Japan, China, Vietnam, and Korea. The experience at Bites is unique and enticing. A newcomer to Chicago’s dining scene, Bites Asian Tapas is receiving rave reviews: 4.5 out of five stars from Yelp, and UrbanDaddy calls it a "small plates wonderland." Nothing says "I love you" better than sharing the delicious Bites Valentine’s Day menu, showcasing the colorful cuisine of Asia. The Valentine’s Day celebration begins with a glass of champagne. Then select two of the small plate choices: Drunk Chicks(whiskey sauce or spicy hot sauce and sour cream); Buns (choice of Pork Belly, Roasted Duck, Avocado Tempura, Crispy shrimp cake, Shiitake& Tofu, Chicken Katsu);Green Gyoza prepared with Edamame, Mixed Vegetable, Honey Wasabi Mayo & Caramelized Whiskey Soy Sauce; Crying Amigo Tacos, with Grilled Rib-Eye, Lettuce, Tomatoes, Avocado, Cilantro with Lime Sauce; or Korean Sliders, Pork Shoulder Marinated in Korean Sauce, Lettuce, Tomatoes, Sesame Seed. The next course features a choice of big plate: Oriental Paella, prepared with Crab Fried Rice, Egg, Tomatoes, Scallion; Tonkotsu Ramen, Pork or Tofu in Rich and Creamy Broth, Egg Noodles, Ginger, Seaweed, Poached Egg, Garlic Oil, Sesame; Pretty in Pink, Rice Noodles in Bites Signature Sauce, Tofu, Omelette, Scallion, Crush Peanut, Sesame Seed; or Grilled Saba with Fresh Mackerel, Coleslaw with Rice & Teriyaki Sauce. The finale is a choice dessert: Mochi Shooter or Cookie Dough Chopstick. 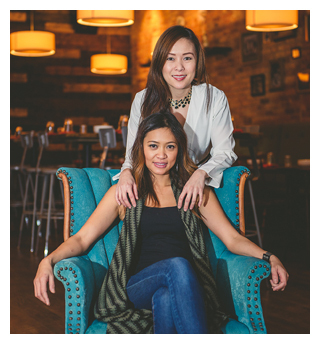 Bites Asian Tapas is owned by Asana Nakornchai and Marita Tantivirasut, formerly of Tank Sushi. The restaurant is open on Valentine’s Day from 5 p.m. to 11 p.m. 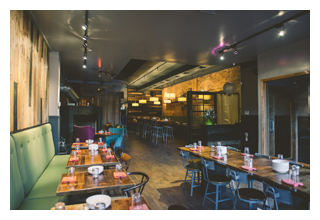 Regular hours are Mon.-Thurs., 5-10 p.m.; Fri.-Sat., 5-11 p.m.; Sun., 5-10 p.m. For more information or to make reservations, please contact Bites Asian Tapas at (773) 270-5972 or send an email toinfo@bitestapas.com. Visit the website atwww.bitestapas.com.